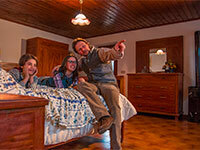 List of Bed & Breakfasts and Country House of Asiago. 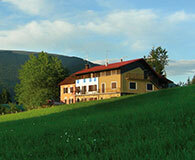 Do not forget to visit the section B&B the other municipalities of the Asiago Plateau via the menu on the left. 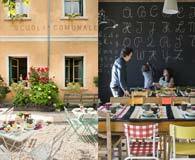 At 800 meters from the main road that connects Cesuna in Canove we find the Country House Hut Col del Vento placed at the edge of the Woods on a sunny Hill from where you can enjoy a beautiful panorama. 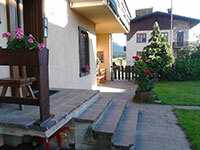 The Bed & Breakfast Happy Days is Mittewald, a small village near Roana, Rotzo and Asiago, away from traffic and convenient to ski downhill of Verena and those from the bottom of Campolongo. 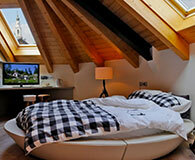 The Bed and Breakfast Prukaren is Gallium, note the mountain resort of Altopiano di Asiago. 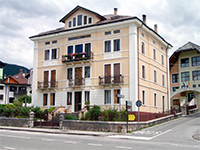 The School Guesthouse, bed and breakfast accommodation awaits you in Lusiana, on theAsiago plateau 7 Comuni, between Marostica and Asiago.